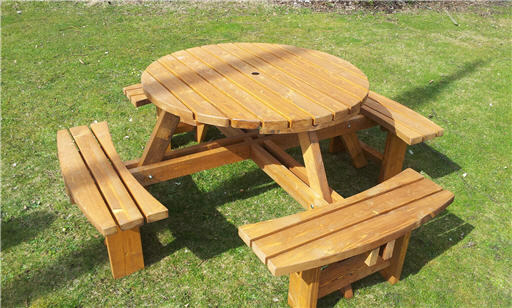 Please note the below items are supplied Flat Packed and do require DIY Assembly. 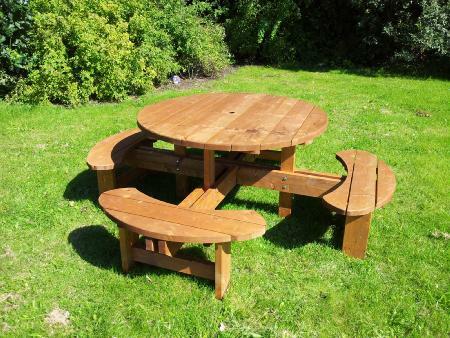 We do offer a built up Service within the South yorkshire Area only. Please call 01302 739050 for availabilty on this service. 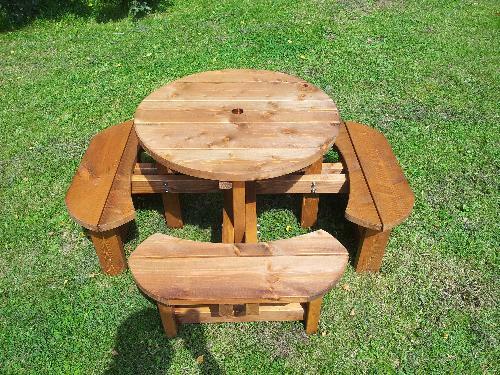 Treated 8 seater Round Robust Pub Type Table. Great Value and space saving design. The super sized excalibur. 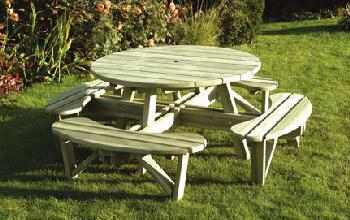 Robust construction from 38mm thick throughout timbers and largeTable top diameter 1300mm overall footprint 2200mm. Great value for pubs restaurants schools and event markets. 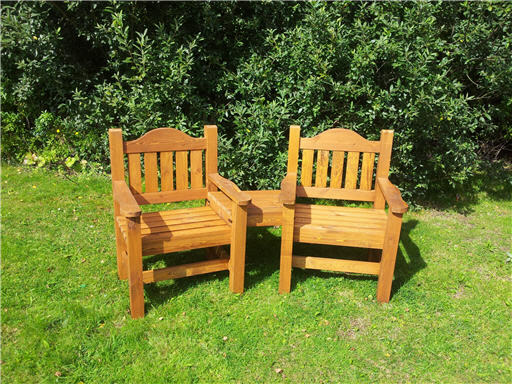 Made from slow grown nothern scandanavian pine treated with a commercial stain with UV Blocker for prelonged colour life. 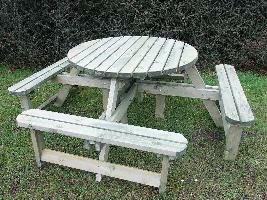 Fantastic Value 6 of these standard Excalibur tables chunky tables delivered for £995.00 UK mainland post codes only. Price Incs Delivery UK Mainland post codes. 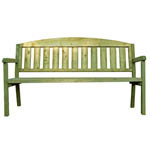 Great Value Conversation, Love ,Tete a tete Seat with removeable joining table for those disagreeable moments!! 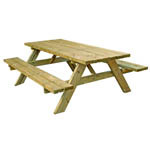 Exceptional Value pub type picnic table table top 580mm x1500mm footprint 1200mm x 1500mm. 38mm Thick timbers!!!! 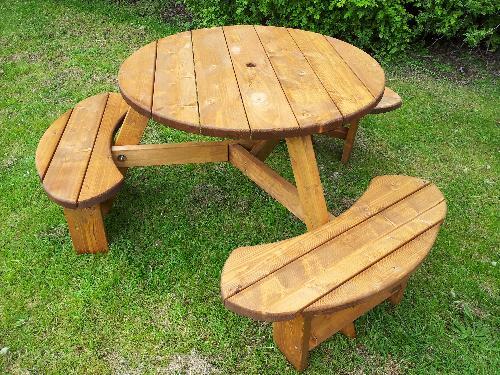 Fantastic Round picnic table for a great price seats 6 great space and money saving table suitable for any garden. 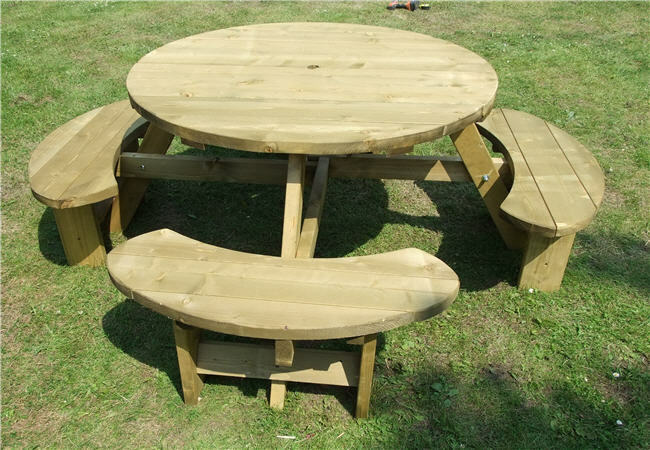 Value Round treated Excalibur New Design picnic table. 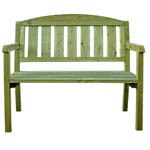 For More Benchs please see our trading Partners site Picnicbenchs.co.uk. All made in England.